Bloom, acrylic on paper, 10x6in. (25cmx15cm). 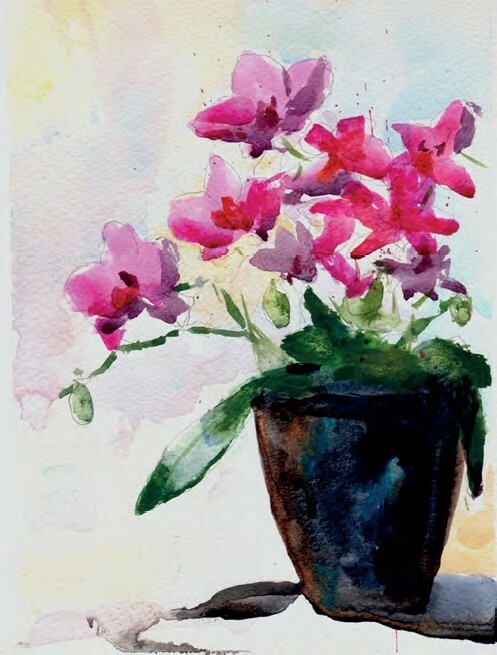 Watercolour techniques, like glazing and mixing colour on the paper, are all possible with acrylics, the only difference being the dry result cannot be revived by adding water. Atlantic, acrylic on canvas, 39x39in. (100x100cm). Acrylics can be used with thickly applied strokes that dry quick enough to add thin glazes over the top. Welcome to the March issue. 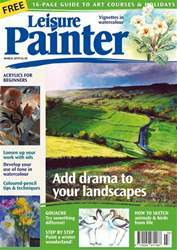 This issue is packed with practical advice, tutorials, demonstrations and illustrated techniques, all aimed at teaching beginners and amateur painters to draw and paint successfully. Enjoy working with watercolour, acrylics, oils, gouache, coloured pencils, pen and ink and more. Learn how to draw and paint animals, landscape, flowers and elements of the countryside. 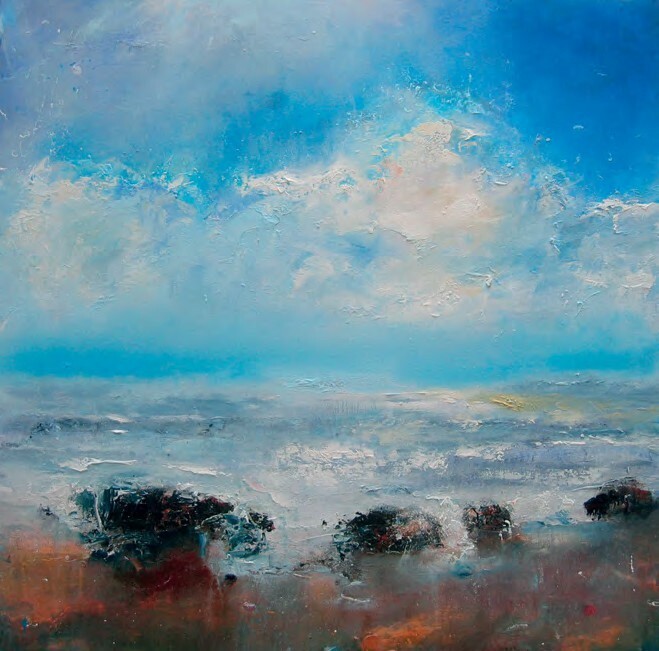 Develop your skills as you learn about the value of tone, how to loosen up your style and how to add drama and a sense of narrative to your paintings. This issue also launches a beginner's guide to acrylics. Enjoy your month of painting with Leisure Painter.